UNIR Research, Research Department of Universidad Internacional de la Rioja, constitutes one of the research team members of EU-USR, project launched as a response to the need for a common social responsibility strategy among European universities. Over the last months, the project partners have carried out a number of visits to European Universities in order to have a clear understanding on how Higher Education Institutions integrate social responsibility issues in their policies. A common European strategy will result from the gathering of key information regarding USR policies identified in European universities. 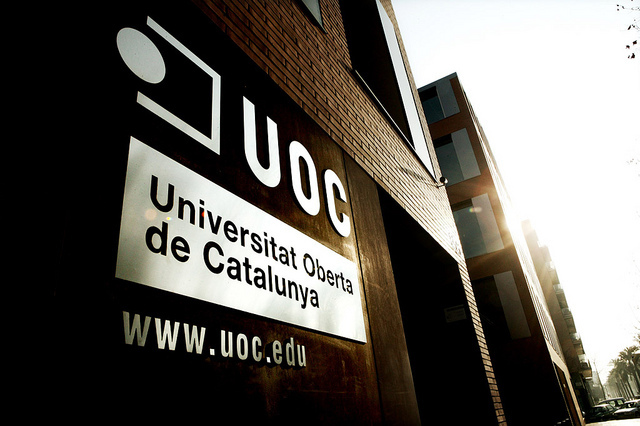 During the first year of the project, more than 40 European universities have been studied by the research team, including Spanish universities such as Universidad Europea de Madrid (UEM), Universidad de Castilla-La Mancha (UCLM), and Universitat Oberta de Catalunya (UOC). The latter was then the subject of the 4th Benchmarking Visit, which took place from 12th to 13th December 2014, aiming at analysing and understanding more in-depth current social responsibility policies implemented at this Institution. This visit was particularly interesting as UOC constitutes the only online University in which such an event was carried out by the EU-USR team. It was the opportunity for them to ask a number of questions to UOC staff involved someway in USR issues, such as the representatives of Campus for Peace, of the Student Council and of the accessibility programme. The conclusions of these events will serve as a basis for the project report on Innovative USR strategies in Europe.